Sitaram Jindal Scholarship 2018 – 19 Online Application Process has been started. 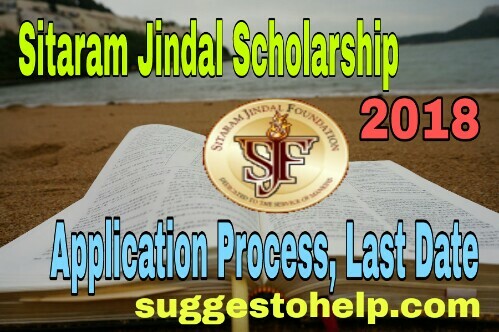 Download Application Form of Sitaram Jindal Scholarship 2018. Get all details of Sitaram Jindal Scholarship 2018. Know Sitaram Jindal Scholarship 2018 Last Date. Fly through Jindal Scholarship Contact Number, Eligibility Criteria, Selection List & More. Jindal Scholarship 2018 – 19. What is Sitaram Jindal Scholarship 2018 ? Sitaram Jindal Foundation Invites Application for Providing Scholarships to Students of Class 11th, 12th, ITI, Diploma, Graduation & Post Graduation. Sitaram Jindal Scholarship 2018 Provides Scholarships for Meritorious but Poor students all over India. Sitaram Jindal Scholarship 2018 is given by Sitaram Jindal Foundation. Who Are Eligible for Sitaram Jindal Foundation Scholarship 2018 ? Sitaram Jindal Foundation Provides Scholarships for Class 11th, 12th, ITI, Diploma, Graduation, Post Graduation Students all over the India. Eligibility Criteria of Sitaram Jindal Scholarship 2018 has been divided into Six categories. Category A : Students of Class 11th & 12th can apply for Sitaram Jindal Scholarship 2018. Candidates who have passed last exam with 65% for Boys and 60% for Girls Aggregate. Category B : Students Who are currently studying ITI course are eligible for this scholarship. Minimum Percentage is needed in last exam is 50% for Boys, & 40% for Girls. Income Certificate is not needed for this scholarship. Category C : Students of Graduate or Post Graduate in Hons are eligible for this scholarship. Only Regular Candidates can apply for Sitaram Jindal Scholarship 2018. Graduates courses like B.A, B.com, B.sc, BFA, BCA, BBA, BBM, Bachelor of Business Economics , BVSC, Hospitality Courses, Micro Biology, BHSM are eligible of Sitaram Jindal Scholarship. Post Graduation Courses like M. A , M. PHIL, M. COM, M. LIB, MBA, MSC, MCA, Hospitality Management are eligible for this scholarship. Minimum Percentage is required for Boys Students is 65% and 60% for Girls students. Category D : Students of Diploma Courses in Civil Engg., Computer Science, Chemical, Automobile , Electrical Engg, Mechanical Engg , Pharmacy, Nursing & Physiotherapy are eligible for this scholarship. The minimum percentage required for Boys is 60% and 55% for Girls. Category E : Students who are pursuing Graduate or Post Graduate Degree in Engineering and Medical Courses are eligible for Sitaram Jindal Scholarship 2018. The Minimum Marks is needed for Boys is 70% for Boys, and 65% for Girls. Category F : Students who are staying at Hostel and currently studying ITI? Diploma, Graduate, post Graduate, MBBS, Engineering Courses are eligible for Sitaram Jindal Scholarship 2018. Category A : Students of this category will receive Rs 500 per month in their Bank Account. Category B : Students of this category will receive Rs 500 per month in their Bank Account if he/she studies in Govt college either he/she will receive Rs. 700 per month. Categoory C : General Category Boys & Girls will get respectively RS. 800 & Rs. 1000 as Sitaram Jindal Scholarship Amount. Where Physically Challenged or Handicapped Student will get Scholarship Amount of Rs. 1000. And Widows & Unmarried wards of ex Servicemen will get Rs. 1200 per month as scholarship amount. Category D : General Boys & Girls students will receive a scholarship amount of Rs. 1000 & Rs. 800 respectively as Sitaram Jindal Scholarship 2018. Category E : Students in this category will receive Rs. 1500 for Girls & Rs. 1300 for Boys. Category F : Students who are staying in Hostel and Pursuing Diploma/ITI / Grad/PG will get Rs. 500 per month as scholarship amount. And Student who are pursuing MBBS/ Engg courses and staying in hotel will get Rs.1000 per month. How to Apply For Sitaram Jindal Scholarship? For applying In Sitram Jindal Scholarship 2018 students have to download application from from the official given Income Certificate from that site also. Fill up the application correctly , attach required documents with the application form and sent it to the address given below. Click here to Download :Sitaram Jindal Scholarship 2018 Application Form. Sitaram Jindal Scholarship Income Certificate is given in the application form. 1. Income Certificate from BDO, SDO, Gazetted officer, IPS officer etc. 2. Photocopy of last board examination marksheet. 3. Photocopy of BPL card. 4. Physically Challenged Certificate ( If Applicable). There is no last date given on the official website. Interested candidates can apply for this scholarship in any time during their current course.We will update if Sitaram Jindal Scholarship 2018 last date is given. Candidates are selected on the basis of marks they scored in the last exam. The financial Condition of the family is also judged. We will update when Jindal Scholarship Selection list Given. The Trustee, Sitaram Jindal Foundation, "NATURELLE" No.11, Green Avenue, Behind Sector D III, Bhatta Road, Vasant Kunj, New Delhi-110070, Email scholarship.del@sitaramjindalfoundation.org. 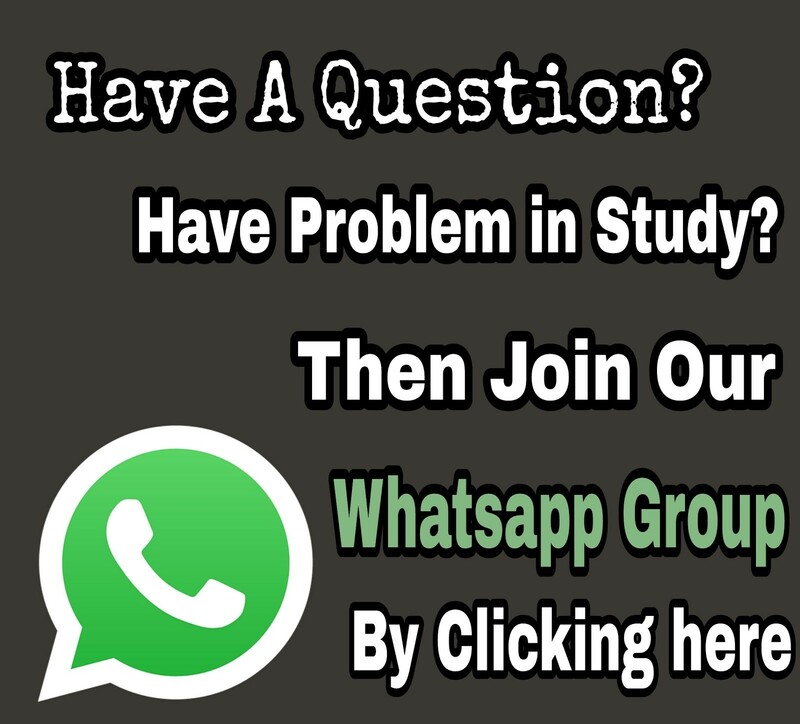 If you have any question , ask us in the comment box, we will try to solve it. Sorry to say but You can not apply for this scholarship. Sitaram Jindal Foundation only Provides Scholarships for Class 11th, 12th, ITI, Diploma, Graduation, Post Graduation Students. You can apply for any Handicapped scholarship . For Sitaram Jindal Scholarship, you need to send below documents. 1.Income Certificate from BDO, SDO, Gazetted officer, IPS officer etc. 2.Photocopy of last board examination marksheet. 4.Physically Challenged Certificate ( If Applicable). Hello Reader, yes you can apply for Sitaram Jindal Scholarship. And Application for this scholarship already started. Application for Sitram Mondal Scholarship is already started. Can I apply for this scholarship...!!?? Hello Arghya, yes you can apply for this scholarship. But you need to admit your Income Certificate from BDO, SDO, Gazetted officer, IPS officer etc of West Bengal to get the scholarship. Now, i made admission for M.com, i got 85.80% in B.com. I'm applying for government hostel for stay there. Can I eligiable for apply to this scholarship?? Hello Reader, yes you are eligible for Sitaram Jindal Scholarship. Hello krishanu, Yes you can apply for this Scholarship. I alredy applied for srjindal scholarship.but I want to know that which date selected name out. Now, I am currently taking admission in BE civil,i got 84.88% in diploma civil. Can I eligible for apply to this scholarship ?? Hello , Yes you are eligible for this scholarship. Hello Reader, this scholarship depends on your last exam's percentage. If you have 70% marks in last exam, then you can apply for this scholarship. Sir I am cast obc so I can apply for jindal scholarships . Online application for Sitaram jindal Scholarship has not started in All States. So If you facing any kind of problem while crating an Id , then apply offline. Yes you can obviously apply for this wcholarship if you fulfil other eligibility criterias. Hello reader, Yes B.A. Course students can also apply for this scholarship. Students from all over India can apply for this scholarship. Selection list will be uploaded in our Website when it will released by Sitaram Jindal Foundation. Is it for every one? Yes General Category students can also apply for this scholarship. I'm studying ECE course in a private college can I Apply for this scholarship? Yes you can apply for this scholarship if you fulfill other criteria. Hello Shaik, Yes you are eligible if your autonomous college is affiliated with your state govt university. Does A Student of APL CATEGORY applicable for this Scholarship? Hello Hafizur, Yes a Student of APL category is eligible for this scholarship. I,m studying in 2nd puc can I apply for this scholarship sir? When is the last date to apply? Can I apply it through post sir??? Yes you can apply. There is no last date announCed till now. Yes you can apply offline through post. Hello reader, Yes you are eligible for this scholarship. Hello reader, Sorry to say , you are not eligible for this scholarship. Hello Reader, There is no official notice about the Last date. We think last date will be in December. Hello soumik, Yes you can apply for the scholarship. Apl card only judged in some states. Can you share from which state you are? My father is an IT payer and I don't have income certificate. Can I apply for this scholarship without an income certificate? hello reader, You must need an Income Certificate before applying for this scholarship. I don't have BPL card instead I have APL can i apply for scholarship?? Yes you can apply through online. Though for Some states , online application is not available. HALLOW SIR I AM ADMISSION NOW IN DIPLOMA MY LAST EXAM MARK 69% .I AM ABLE TO APPLY IT? OR THERE NEED NEW BPL CARD? Hello reader, if you are from WB then you need BPL card and 70% marks. Otherwise you dont need BPL card. Hello reader, There is no known last date for this scholarship. You can apply now for this scholarship. I have passed H.S examination with 88.8 percentage Now I am a student of B.A with english honours.l belongs in APL category from W.B. Can I eligible for this? Hello Reader, According to Sitaram Jindal Foundation Rules, You Can not apply for this scholarship, as you belongs from APL Category. Sir i have alredy apply the jindal schoarship.when selection list relised and how. Sir, I am a student of first Semester of B.Ed. Course for the Session 2018-2020. I secured 69.7% marks in B.Sc. in Physics Honours under Tripura University, in the state of Tripura. Am I eligible for the Scholarship ? Hello Reader, Yes you can apply for trhis scholarship. Hlw me Bsc 3rd year me padh rahi hn to me knsa mark sheet attach Karun? Hello Reader, You should attach your last board exam mark sheet along with your 2nd year mark sheet. Sir, I had secured 6.412cgpa in my 1st BVSc and AH. Am I eligible for the scholarship? Hello Reader, Sorry to say you are not eligible for this scholarship. Dear Sir,Whether nursing students are eligible to apply for this scholarship?? Both Bsc nursing and Msc nursing students will get scholarship benifit??? Hello Ramya, Yes Both B.Sc & M.Sc Nursing students are eligible for this scholarship. Hello i applied for this scholarship this year.. can u tell me any update like whn the selection list will be given and when are we supposed to get the scholarship amount? Sir,I am sharanabasava studying in BSc Nursing 2year. Hello Sharan, Yes you can apply for this scholarship. Hello sir,jindal scholarship me state bank ka account dalna mandatory hai ka? united bank ka account aceptable hoga?? Sir I have already applied your scholarship and I have completed 2nd puc in 85.83 percentage can I get this Jindal scholarship.please sir reply me. I had already applied for this scholarship on 20 October via speed post but not get any reply or mail about it. I am Ambika Banerjee. I had applied for this scholarship on 30th October 2018 via speed post for gnm nursing but not get any reply from your office.